Poor Robert's Mission is a non-profit company dedicated to serving the low income communities of Washington DC. 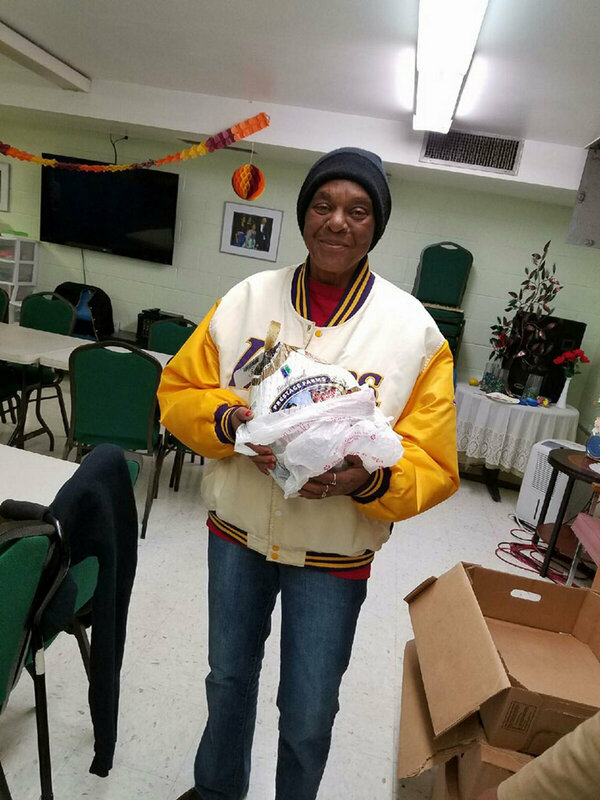 Specifically, Poor Robert's organizes an annual fundraiser to purchase and distribute Thanksgiving turkeys to local food banks, churches, schools, and community centers in the spirit of giving and philanthropy. 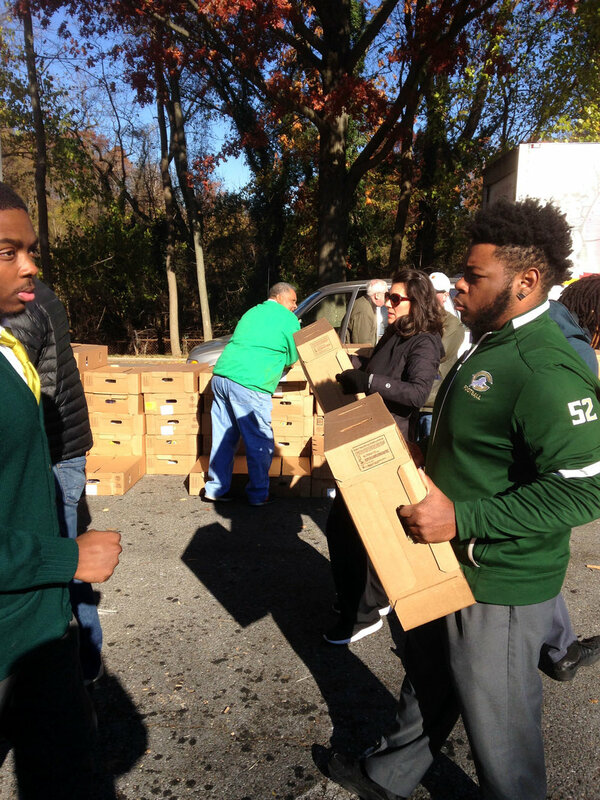 Delivering Thanksgiving turkeys to those in need for over 40 years! distribution to 94 charities and other non-profit organizations in the Washington DC area. See video clip below! Please help us reach our 2018 goals and donate below! please find the "Feed a Family" section below. Please help us reach our 2018 fundraising goals! Provide a Thanksgiving turkey to a needy family in the Washington DC area. Your donation goes directly to support our mission of providing a Thanksgiving turkey to those in need. Join US for Distribution Day! POOR ROBERT’S MISSION WAS ESTABLISHED IN 2015 TO CONTINUE THE CHARITABLE WORK THAT BOBBY ABBO BEGAN IN 1967 WHEN HE AND A FEW YOUNG PATRONS OF HIS FAMILY’S ROMA RESTAURANT DECIDED TO RAISE MONEY FOR A LOCAL CHARITY, LITTLE SISTERS OF THE POOR. In light of Bobby's great fundraising success Poor Robert’s Charities, Inc. (PRC) was formally established as a nonprofit corporation in 1981. In 1997, coincident with the closing of the Roma, the Poor Robert's Charities annual golf tournament was replaced with a cocktail party reception at Columbia Country Club. Through Bobby’s large network of generous friends, PRC’s annual fundraising increased meaningfully over the coming years. Virtually all of the proceeds from these events were used to provide cash and in-kind grants to a large variety of nonprofit organizations which Bobby and his Board of Directors closely vetted for worthiness. 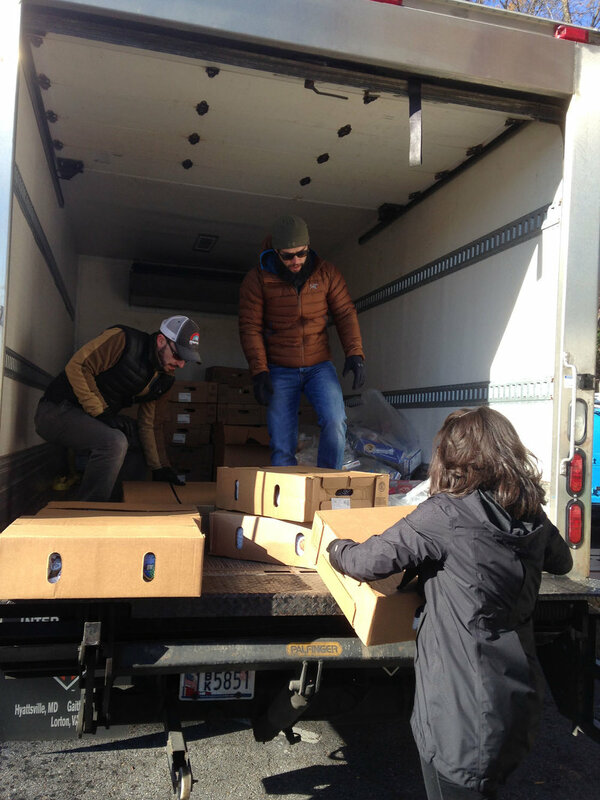 PRC distributed turkeys for the Thanksgiving holiday and funded costs to purchase transportation vehicles for charitable organizations in the Washington DC area. In April 2014 Bobby passed away from leukemia at the young age of 69, an event that shocked his vast group of beloved friends and family. With Bobby's approval, members of the board approached a “next generation” of individuals to continue the Poor Robert’s charitable efforts, and they met with enthusiastic interest. Zachary Huke, Bobby's nephew, assumed the role of President and a new Board of Directors comprised of next generation members and some of the “old guard," By 2014 a new company by the name of Poor Robert's Mission obtained 501(c) (3) tax-exempt status from the IRS and the Mission was on! Importantly, all of this good work continues to be accomplished without incurring anything but de minimis overhead expense. Like its predecessor company, PRM is run entirely through volunteers so financial donations to the company go right to those who need it. Thanks to Bobby Abbo’s inspiration and the generosity of PRM’s benefactors, friends, supporters and volunteers, Poor Robert’s Mission is off to a great start, and we look forward to growth and prosperity of fundraising activities and grant-giving programs in coming years. Zach is the President of Poor Robert’s Mission and is responsible for coordinating and executing all of its activities and efforts. As the nephew of Bobby and Marcia Abbo, he was eager to pick up the mantle of Poor Robert’s Charities and continue its good works! Zach currently serves as Vice President and Treasurer at CIH Ventures, Inc., a real estate firm with a focus on affordable housing in Washington DC. He lives in Potomac, MD with his wife and four children. As the Secretary of Poor Robert’s Mission, Molly is responsible among other things for keeping official records of the organization, including minutes of meetings and all organizational documents. As the daughter of Paul McNamara, who was very close with Bobby, she grew up in the Poor Robert's family, Molly has always been drawn to the simplicity of the organization and was eager to join the board of Poor Robert's Mission at its founding. Molly is married to Paul Hugo and they have three children. She hopes to pass on the same spirit of giving to her own kids; her eldest joined the Annual Turkey Distribution this past year! Julie Burke serves on the Board of Directors of Poor Robert's Mission. Julie also grew in the Poor Robert's family - her father, Vince, was very close with Bobby. Julie currently is the Upper School Dean of Students at Holy Child high school in Potomac, MD. Previously she worked at the Washington Jesuit Academy. Julie earned her degree from Washington College. Luke Joyce serves on the Board of Directors of Poor Robert's Mission. His mother and father were close friends of Bobby and Marcia Abbo. Luke currently works in the commercial real estate industry. He holds a degree from George Washington University in Washington DC. Jim started working with Poor Robert’s Charities in 2002. 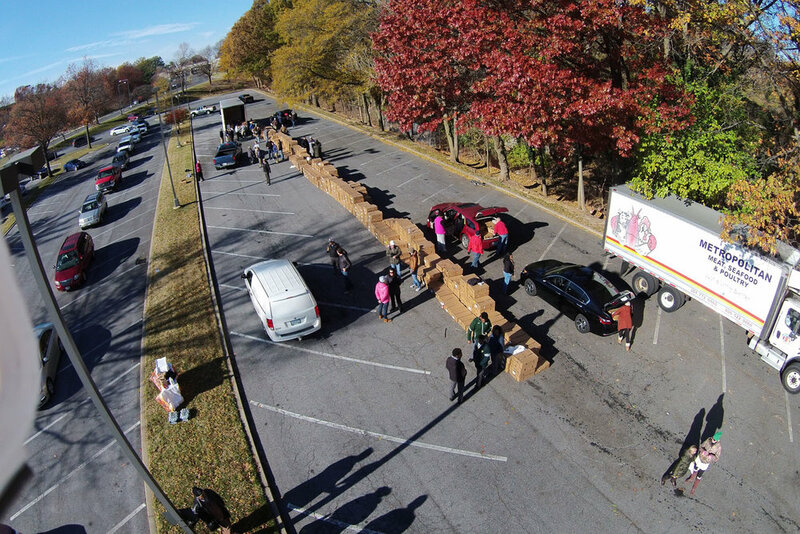 Initial duties included volunteer recruitment and logistics for the turkey distribution. In 2013 Jim joined the Board of Poor Robert’s Charities to assist with the vetting process of perspective recipients. He continues his service on the board of Poor Robert's Mission today. Jim and his wife Alyssa reside in Chevy Chase, MD.Paul McNamara serves on the Board of Directors of Poor Robert's Mission. His active roll in Poor Robert's Charities, Inc. began over 15 years ago when he helped spearhead the successful growth of the turkey distribution fundraising efforts. © Poor Robert's Mission. All rights reserved. PRM is a 501(c)(3).